NO COVER: The fight is on! 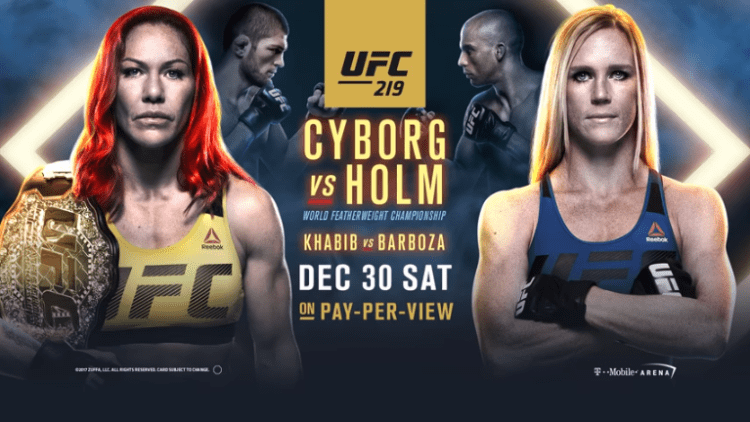 Tysons Biergarten is going to be showing UFC 219 on December 30th, as some of the best fighters in the world gather to take each other on. We’re not ready to let the holiday season go, so we’re having a Holiday Pajama Jam on New Year’s Eve Eve, December 30th! Break out those matching full-body jammies and come hang. No holiday jammies? No worries! We’re open-minded. Party goes from 9pm-2am and it’s freeeee! RSVP on Facebook here. 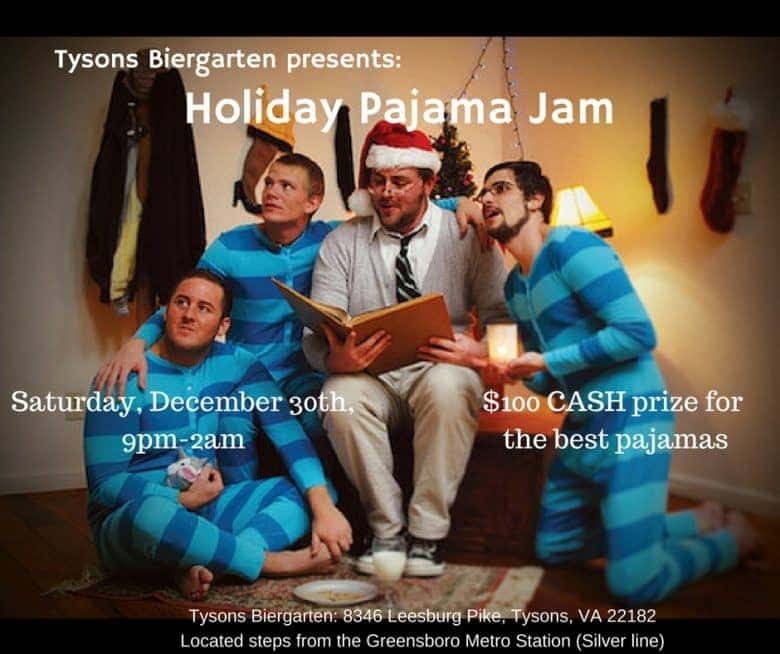 The wearer of the best pajamas will win a $100 cash prize, announced at midnight! Register on eventbrite to be eligible; click here. 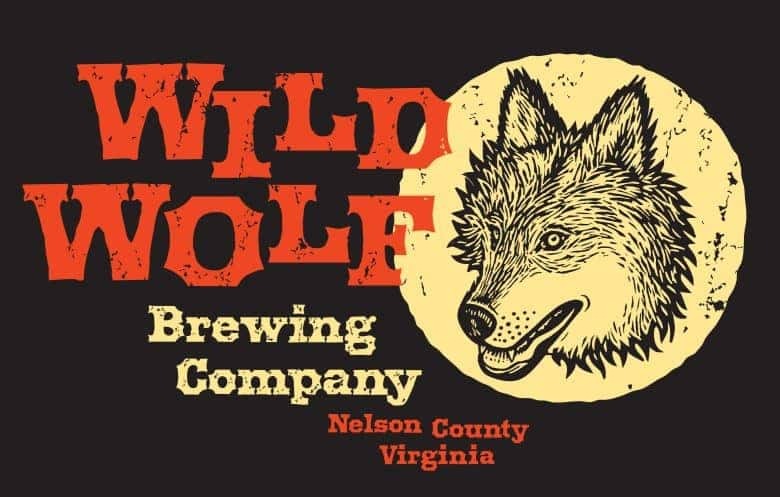 The last Wild Wolf Brewing Company tap takeover went so well, we’re doing it again! At 7pm on January 20th, Wild Wolf will take over three lines of our American Underground basement bar, with their award-winning American Stout, Blonde Hunny, and Area 151. RSVP on facebook for the latest updates here! American Stout; 7.1% ABV: Black in color, with complex layers of caramel and roast on the nose. Silky smooth velvet mouthfeel with notes of chocolate, darkened caramel and coffee, finishing with full-on American awesomeness. Won the silver medal at the 2017 Great American Beer Fest. Blonde Hunny; 6.8%: This special version of Blonde Hunny has Orange Blossom honey in it to enhance flavor. Blonde Hunny is a Belgian style Blonde Ale with wheat and a lot of honey in every pour. We have also added a special spice blend to give it an added kick. Smooth and refreshing, this beer is straw yellow in color with a slight sweetness in the middle and an estery finish characteristic of the best Belgian beers. Area 151; 7% ABV: Area 151 is named for our location on Highway 151. This Belgian style ale has REAL blackberries added during fermentation, giving the beer a beautiful color. We filter 151 prior to packaging to add a crispness and to help bring the fruit forward. At Wild Wolf, we think beer first, fruit second! UFC 220 is STACKED with good fights. Headlining is Stipe Miocic vs. Francis Ngannou for the Heavyweight Championship. You can also watch Daniel Cormier defend his UFC Light Heavyweight title against challenger Volkan Oezdemir. We’ll start airing the fight at 10pm. RSVP on Facebook here!